Give the ultimate unique birthstone gift. 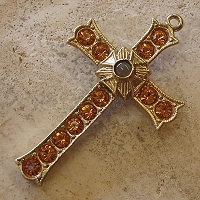 We have a fabulous line of Birthstone Jewelry pendants including crosses, hearts and more. Each one is home to a surprise stanhope lens peep microphoto viewer. You can choose from our many stock images or personalize any piece with a meaningful custom photo for that extra special touch. We specialize in personalized jewelry that both makes and preserves those special memories we all cherish. All of our birthstone jewelry feature authentic fine Swarovski crystals and pearls. Most pieces are available in your choice of setting. 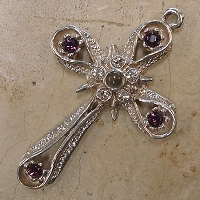 Fabulous February stanhope jewelry feature light amethyst and dark amethyst to suit every taste. fine and unique keepsake jewelry for your beloved Aquarius or Pisces. Beautiful clear blue Aquamarine jewelry pieces are made in a variety of settings and each one is available with your choice of stanhope photo. Great custom photo gift ideas. 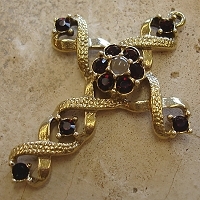 Big savings and an excellent selection of Alexandrite birthstone pendants and jewelry. 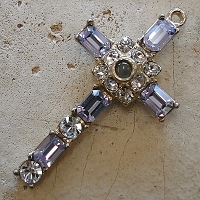 Many pieces feature stunning Swarovski Alexandrite crystals set in your choice of precious metal and stanhope photo. 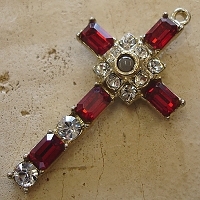 Deep red ruby Swarovski Birthstone jewelry on sale at discount prices. Save an extra 10%! 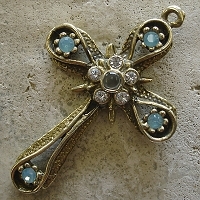 Birthstones purchased during the current or prior month receive an extra 10% discount at checkout. 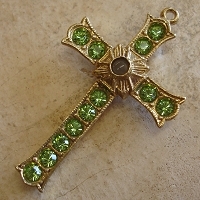 Peridot stanhope jewelry available with stock or custom image stanhopes. 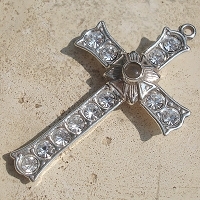 Beautiful Swarovski cross pendants and more. 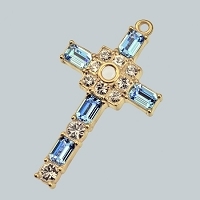 Features many beautiful high quality silver, gold ,plated, and base metal Sapphire crosses, pendants, necklaces, bracelets, pins, and other finesapphire birthstone jewelry. Bithstone Jewelry with stanhopes feature opal and tourmaline in a great selection of pendants, crosses, hearts and other jewellery. Topaz for the month of November. 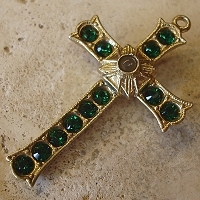 Birthstone Jewelry with stanhope lens adorning each pendant, charm, cross, necklace or other unique piece. Our stanhopes are all customizable so you can personalize them with your own favorite photo or text. 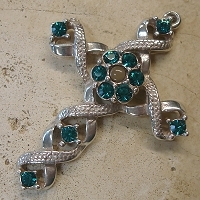 Specials on December Zircon & Turquoise Stanhope Jewelry. 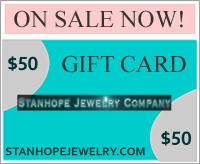 Each stanhope pendant, necklace, charm, or other jewelry or gift item is adorned with a completely customizable stanhope photo. Peep in the tiny hole to see the microphoto in full clarity. Unique jewelry at great prices. 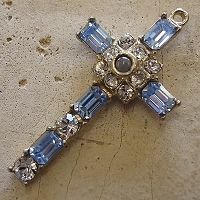 On sale the month of and one month prior to the current birthstone month. Diamonds may be a girls best friend, but our personalized stanhope jewelry pieces are every girls dream come true. A picture is worth a thousand words and our unique and unusual jewelry can be made-to-order with custom photos or messages, personalized with birthstones or customized with your choice of metal for the setting.